The winners of the 2015 Taurus World Stunt Awards were announced on Saturday, May 9, 2015 during a presentation at Paramount Pictures in Hollywood, California. Stunt men and women from around the world honored their peers for a year of outstanding work in feature films. The film Captain America: The Winter Soldier won 3 awards, garnering Taurus awards in the Best Stunt Rigging, Hardest Hit, and Best Stunt Coordination and/or 2nd Unit Direction categories. The film had 5 total nominations and featured winning stunts ranging from a freeway car chase to a stuntman taking a hard hit while flying through a bus shelter. A car chase with luxury cars racing along the Pacific coastline from the film Need for Speed won the Taurus award for Best Work with a Vehicle. The German series Alarm fur Cobra 11 has been a longtime Taurus nominee and this year won the Best Action in a Foreign Film category for the Alarm fur Cobra 11 – Die dunkle Seite installment. 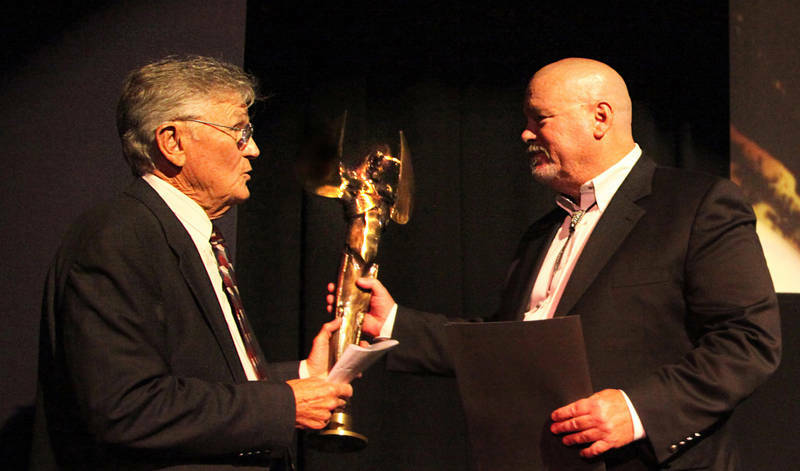 The Lifetime Achievement Award was given to Gary Combs, a talented stuntman, stunt coordinator, and 2nd unit director. Gary got his start in the stunt business in 1961 while working on the TV series Wagon Train and doubling Robert Horton. From there he went on to work as a stuntman in legendary films such as True Grit, El Dorado, The Wild Bunch, and Pat Garrett & Billy the Kid. He also served as stunt coordinator on films including Blade Runner, RoboCop, and Legends of the Fall and television shows such 21 Jump Street, Hardcastle and McCormick, and Hunter. Gary was also one of the original 11 members of the stunt group Stunts Unlimited. It’s our pleasure to congratulate the 2015 Taurus World Stunt Awards winners!